View of the Surrounding Islands. Governor's Island Shore. Governor's Island is a twenty-minute boat ride from Lucap. It has a guest house which can accommodate a family. 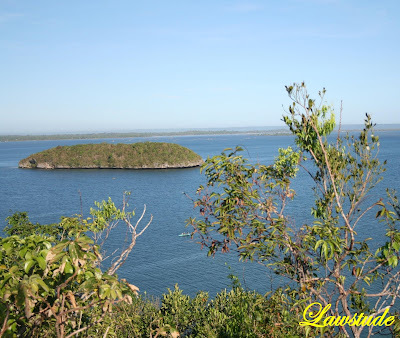 This island is not much fun for swimming but it is has an observation deck which will allow you to have a magnificent view of the rocky and green islands and islets above the blue sea. Looks like a great place to visit. Great views. it reminds me again of one of the best trips we've had. i like one side of the island and the viewing point. Owww... Grabe. hindi ma-tapostapos ang magagandang views ang Pilipinas. Nababasa ko lang yan at nababalitaan. Hindi ko akalain na ganyan kaganda. Simple lang kasi ang imagination ko. maraming tinatago ang Pilipinas. Salamat ulit. everytime i read your posts napu-frustrate ako. hehe. di ko kasi alam kung makakapunta ako sa mga lugar na pinupuntahan mo. anyways, i like the last 3 pics. thanks for sharing all your experiences...keep it up kuya! Another place... pero parang draining pumunta...heheh! wow..ang ganda pala dyan. I've never been to the Hundred Islands yet. how are the accomodations? wow! dream ko din makapunta sa hundred islands. 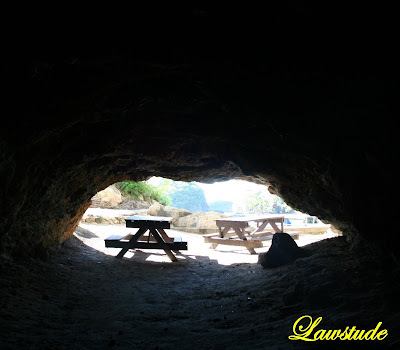 we were supposed to go there when we went to baguio in 2006 and went down to our friend's residence in pangasinan. kaso lang kinapos sa oras kaya di kami nakapunta dun. sayang. @ andrea - thanks. it is indeed a great place to visit with islands just so close to each other. @ the dong - the other side is where the cave is located but quite tricky to shoot because of the blinding sun. @ belen - tama ka jan nanay, ang daming magagandang lugar sa pinas at ang dami ko pang gustong puntahan. @ rio - doc, talagang "find your own island" ang scheme nito eh, you can stay there and do everything freely. @ beero - kaya mo puntahan yan. ang daming magagandang lugar sa pinas na masarap at madali lang libutin. @ olan - thanks. ako naman dream ko malibot ang zamboanga peninsula at camuguin and other parts of mindanao. @ aline - di naman draining kasi marami ka naman makikita views from the roadside to the seaside. @ scrooch - there are few hotels and restaurants in the area. i will post some of them soon in my blog. probably on my last entry about the place. @ evlahos - may you have a great summer too. where are you headin? @ phivos nicolaides - thanks. 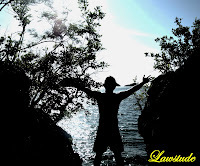 @ the islander - matagal pa mabura ito for sure. lols. 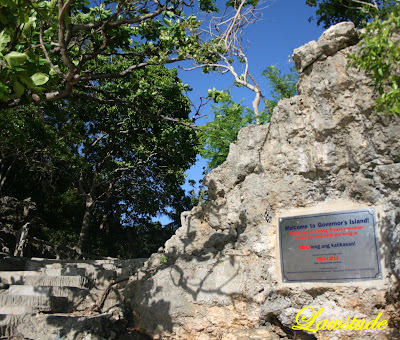 baka di mo pa time pumunta doon ng 2006. malay mo pag punta mo ngayon doon dugtong-dugtong na islands. 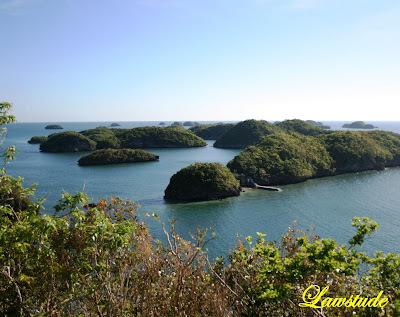 ganda ng hundred islands!one hundred twenty three island pala lahat. salamat sa info. sa governor's isalnd pumunta ang pbb first teen big four noong 2006. celebrity ka na rin! 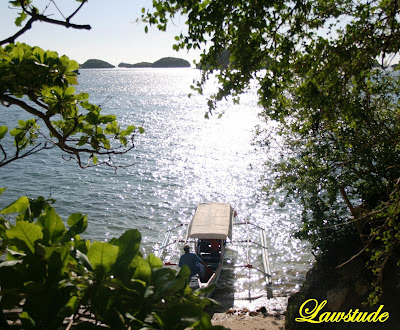 we went to hundred islands last month, just before Frank hit the Philippines. i love the view. i especially cannot forget the calamares and inihaw na liempo at Maxine's! @ selerines - thank you. i just enjoy shooting nature but it ain't my line of work. glad you like 'em. @ redlan - salamat din sa info. di ko alam galing pala dun si kim chu. @ talambuhay - salamat. pag maganda talaga view di ka pwede pumalpak lols. inform mo ko kung gusto mo sumama lols. @ random ramblings - i agree arlene. ang crunchy ng calamare pero tender sa taste. never tried inihaw na liempo, hmmm maybe next time. Another great shots Lawstude. Sarap naman jan. I'll be waiting for your Ifugao posts. nice... still sunny in there i suppose? here, it's summer... but it's dark and gloomy... argh!!!!! will you do 100 posts of these islands? Beautiful photos. Looked like a lovely place to visit. As usual, mega-libot ka na naman at di ka na naman nagsama. Hmmp. beautiful images, should be a wonderful place to visit. Waw talgang bingay ang skedule!! Tameme ako don lol!! hayyy napakaganda talaga sa hundred islands! naalala ko rin yung trip namin jan kasama friends ko. anong rates nung guest house sa governor's island? I was a year old when the last time I was in Hundred Islands. I don't recall anything. The images are sooo... inviting. @ vinzent - thanks. the sights and sounds of the sea are just so awesome. @ kegler747 - i think so carlo. 123 pa rin sila and nothing much has changed really. i'll post my ifugao trip probably next week. my legs ache just thinking about it. @ kris jasper - medyo rainy na rin dito KJ pero as usual kahit rainy eh mainit pa rin. 100 posts? lols. di naman, siguro isang post na lang to summarize the trip. @ alicesg - lovely place to visit indeed. @ tina - hello. busy-busyhan ka kasi lagi eh lols. @ acey - only about a hundred steps so quite easy to navigate. the view from the top is amazing. @ kingdaddyrich - oo naman. the best ang beach. @ bw - yup there is. i'll post the number of the tourism office in my last post about the place. it has a hut which can accomodate a family. it also has a nice beachfront for backpackers. @ daniel j santos - indeed sir, thanx again for the visit. @ carlotta1924 - i'll post it in my next post. di ko dala notes ko eh lols. 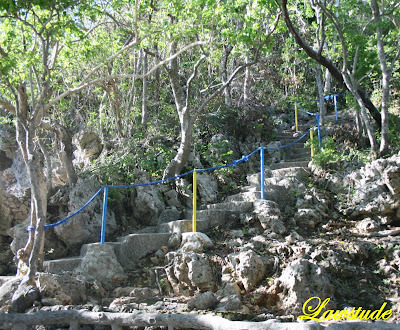 pero mas maganda kung sa lucap na lang kayo mag-overnight then go island-hopping early in the morning. @ traveler on foot - you should come back there. thanks. 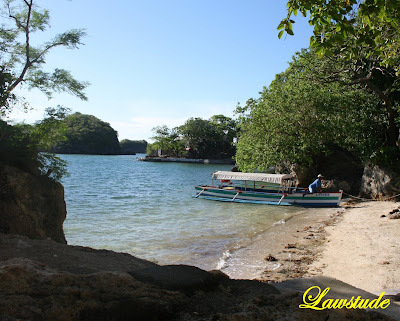 amazing photos...my only visit to Hundred Islands seems a lifetime ago. thanks for sharing. @ luna miranda - you should go back there. lots of new development specially in the children's island. @ mink - glad you like 'em. Btw, the song is "Unwritten" by Natashe Beddingfield is one of the favs, though pang-girl yung song, yet its message applies to everyone especially those who love suprises and venturing into the unknown-like Capones Island.